Loose fit, round neck, short sleeve top. Sleeves are cuffed and tacked. 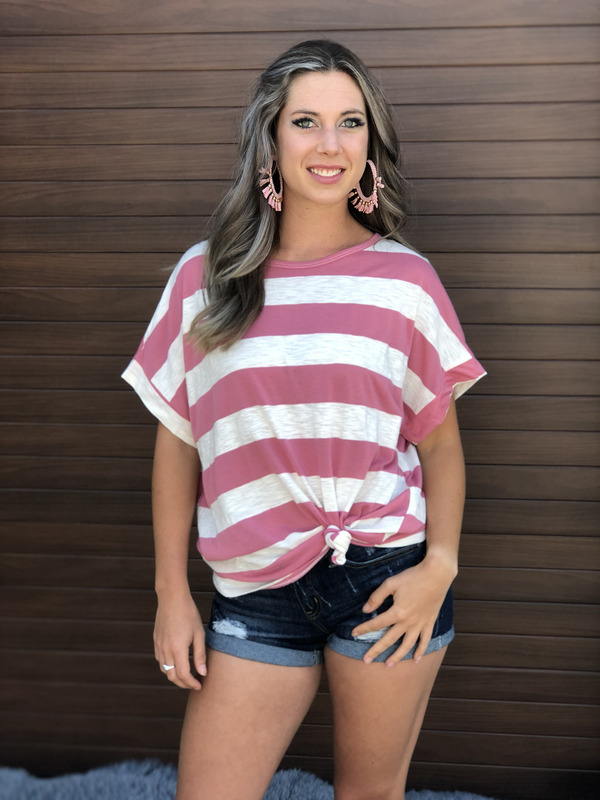 This top is made with a medium weight striped cotton slub knit fabric that is soft, drapes well and has some stretch. This picture shows the top styled with a knot.